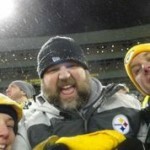 Good Wednesday to You Steelers’ Fans! Something that came up last night on the podcast was the fact that the Steelers “should have scored points” against Atlanta. In other words, by scoring 34 points (Defense recorded a TD) against an injury-riddled Falcons’ team the Steelers were simply meeting expectations. There is definitely truth to this. The Falcons’ secondary was a shell of its’ former self and their best interior defensive lineman was out. Now comes a little bit more of a test. The Bengals are winning close games and despite the fact that the Steelers play well in Cincinnati, this Bengals’ team has a different vibe to it. Statistically, the Bengals’ D isn’t all that great. They are 26th in total defense, 23rd against the run and 22nd against the pass. In other words, while the Bengals aren’t as banged up as Atlanta was, there’s no reason the Steelers’ offense can’t be successful. Expectations for this unit are always high and this week should be no different. 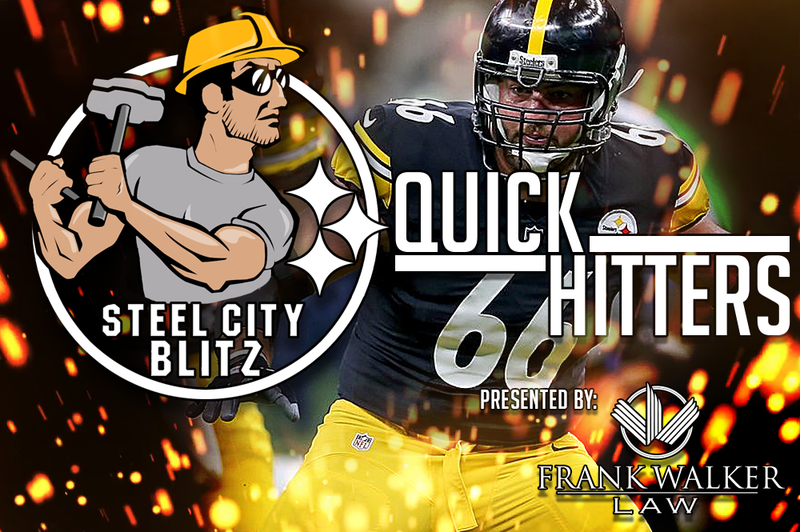 We aired our 99th episode of the Steel City Blitz Steelers’ Podcast presented by 26shirts.com/Pittsburgh last night. 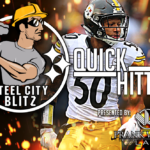 We re-capped the win over Atlanta and discussed all three phases of the Steelers right now. Congratulations to T.J. Watt, the AFC Defensive Player of the Week!! 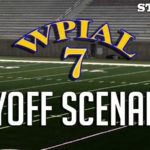 Ian breaks down the Week Seven Playoff Projections for WPIAL. Tweet of the Day… Da Beard honoring Drew Brees. I wonder how different Brees’ career is if he isn’t playing more than half of his games each year in a dome? My last game was against @drewbrees. What a competitor! According to numerous outlets (TMZ was first so what does that tell you? ), Antonio Brown is facing two different civil lawsuits in Florida. He’s been named as a person who threw furniture off a condo balcony nearly striking a toddler. Thankfully that little person is OK. What is equally as disturbing is that Brown claims he had $80,000 and a gun stolen from a duffel bag. Am I missing something? 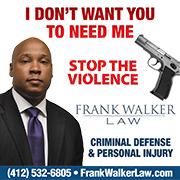 Who has 80 grand and a gun in a duffel bag? The only times where I’ve ever seen or heard of this the situations were not good and were typically criminal in nature. This entire season Brown has been a walking circus and it doesn’t look like it’s going to end any time soon. You take whatever you want from Ben Roethlisberger’s weekly spot on The Fan but it sure seems like he’s riding with James Conner whether Le’Veon Bell shows up or not.